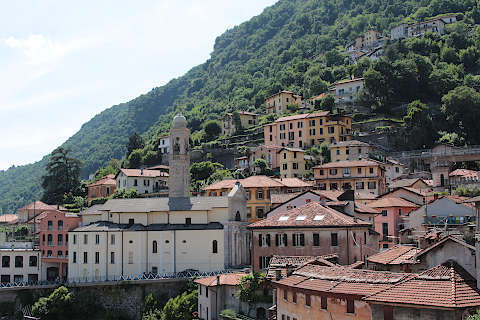 The village of Moltrasio is on the shores of Lake Como, to the north of the town of Como and on the south-west branch of the lake. 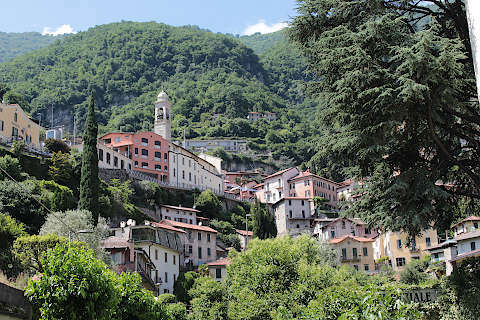 The village is divided into two separate parts, with the main part of Moltrasio and the church on the hill, and the harbour and cafes and hotels on the edge of the lake. 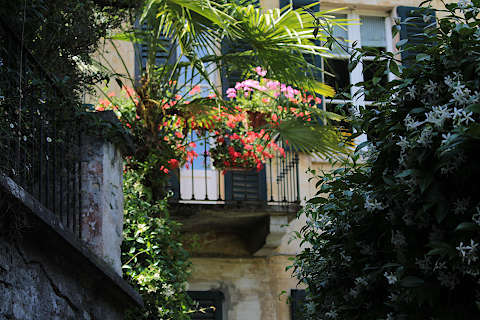 Between these two parts there is an ancient street, via Fratelli Recchi. Not surprisingly this is quite steep in places, but the scenery and buildings along the way make it worthwhile! 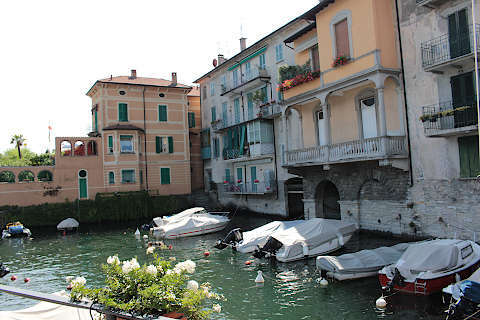 If you are arriving by ferry you will be in Piazza San Roco, close to the main hotels as well as the Cafe Bellini. 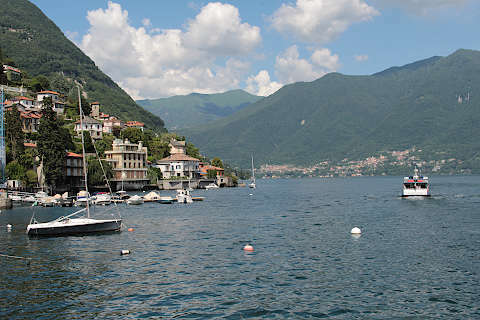 The small harbour is to the north of this square (follow the signs to Moltrasio Rowing Club) and beyond the piazza to the south is a small beach on the lake. 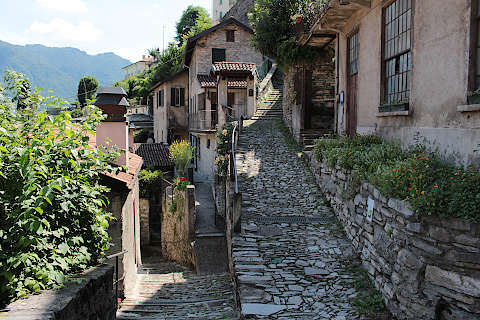 From here you can follow via Fratelli Recchi, the narrow alley that starts to the left of the Cafe Bellini, that continues all the way up the hill to the main village. 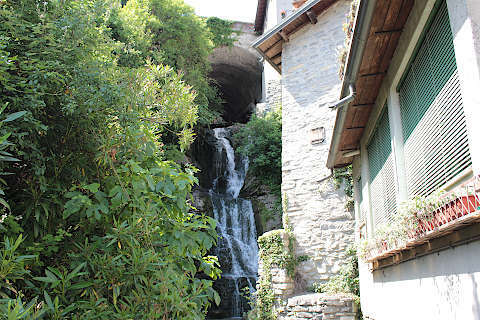 The last part as you enter the village is more stairs than path but there are various diversions such as a waterfall and old houses built on the rocks that stop you noticing you are walking uphill! 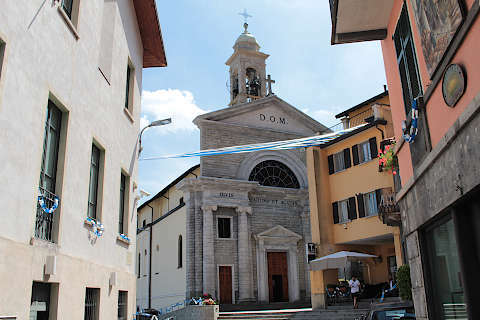 The centre of Moltrasio village is in piazza next to the church of San Martino. 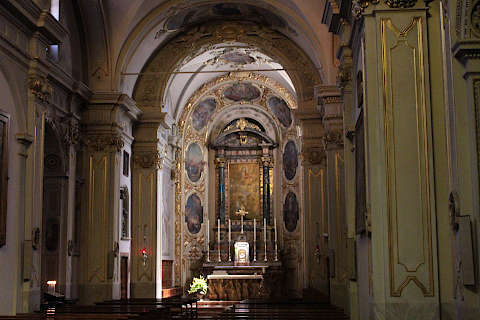 The church has a classical style facade (which seems rather incongruous for the church), and inside you can see the baroque decoration and a decorated altar. 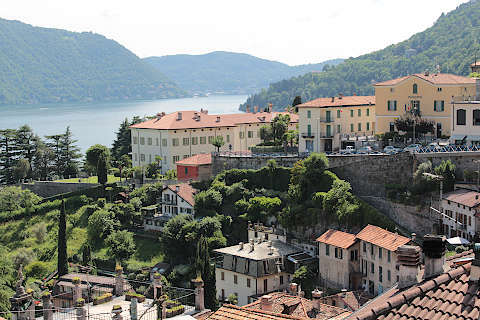 If you travel south from Moltrasio, you can explore another small village at Cernobbio, then continue to the important historic town of Como. 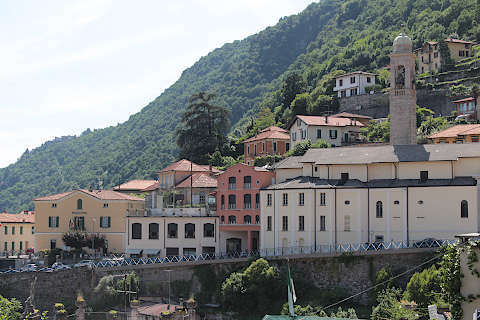 The most visited villages on Lake Como are north of here, with both Tremezzo and Menaggio on this side of the lake, and from where you can also get ferries to Bellagio and Varenna. 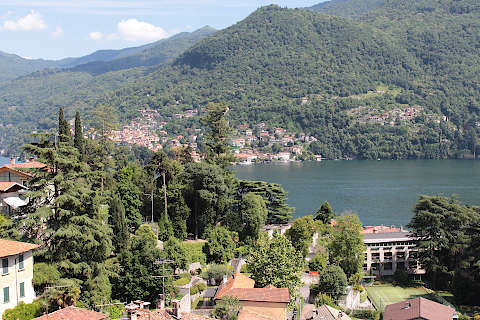 You can find more local travel ideas in the Como guide and the Lombardy guide.